*This post is sponsored by Pompeian Grapeseed Oil. I received free product in exchange for this post. All opinions are my own. There’s something about a chill in the air that puts me in the mood to bake! The house somehow feels cozier with something baking in the oven, and I feel more at peace with a plate of freshly baked goods on the counter. I will warn you – these scones will not last long on your counter! These are seriously the BEST scones I have EVER had. 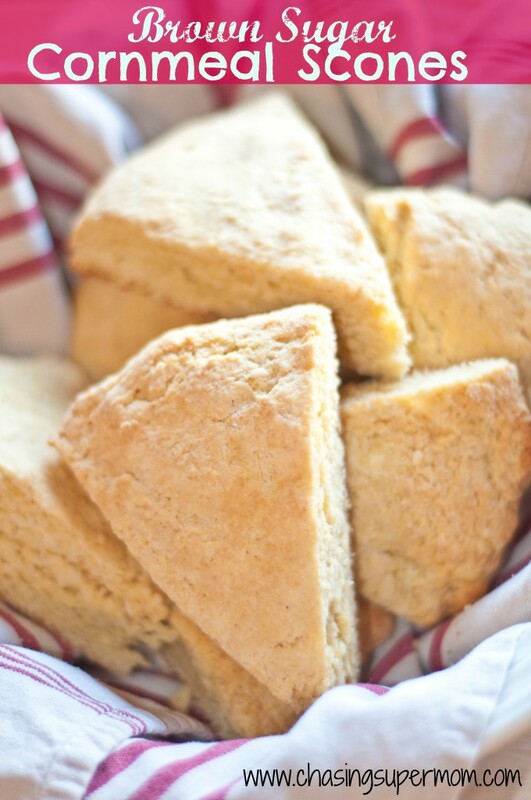 Most scones are dry and crumbly….these are divine….especially warm out of the oven. I got this recipe from my mom, and love making these for my own children. A warm scone for breakfast is the perfect start to a school day. I know you are going to love these. 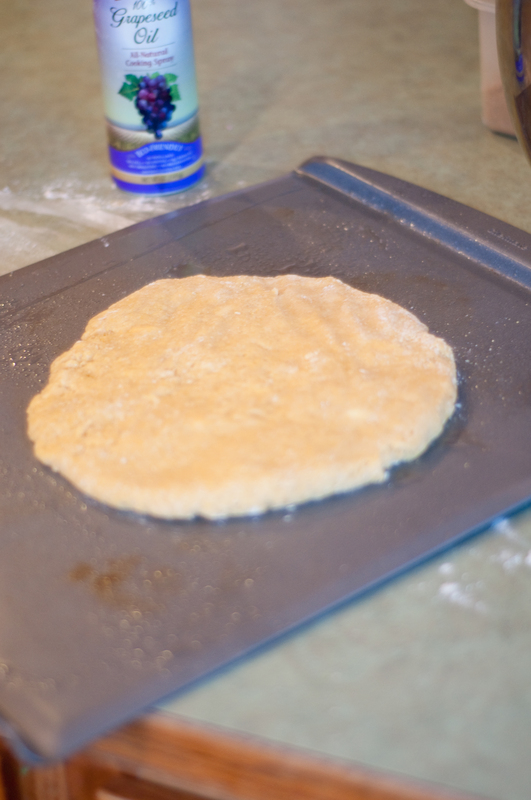 I used the Pompeian Grapeseed Oil to spray my baking sheet. My scones slid right off the pan – baked to a golden perfection. I highly recommend the Pompeian Grapeseed Oil for all of your holiday baking needs. Coming from delicate wine grapes, the Pompeian Grapeseed Oil reduces the absorption of food, preserving its natural flavor. And its high smoke point makes it ideal for your heavy load of holiday baking. 2. In a large bowl (I used my KitchenAid for the whole process), mix together the flour, cornmeal, baking powder and salt. 3. Using a pastry blender (or simply mixing on low speed), cut in butter until the dough is crumbly. 4. Mix in the egg, milk, brown sugar, and vanilla. Gently mix until the dough holds together. Don’t over-mix. 6. Score the dough into 8 wedges, not cutting all the way through. Bake for approximately 15 minutes, or until golden. Take this special survey for a chance to win a $200 gift card! These look SO GOOD! I’m yet to make a scone that I love that come out well. I’m going to make these over the holiday break! Yummy! I think these look delicious!! I will have to try and make them with my daughters! !